Two days before, on May 2, Beacon Hill lawmakers made a little-noticed decision. They referred House bill H.4142 "to study." It’s one of those Beacon Hill euphemisms for a common enough occurrence; “study” is the place where policy proposals go to die. H.4142 is also known as the Jim Brooks Stabilization Act. A “very modest” proposal, in the words of Boston’s housing chief Sheila Dillon, the act was designed to do two simple things: provide the city a way to track evictions in real time, and allow the city to notify tenants of their rights when they’ve been given a notice to quit. The bill would have only applied to Boston, but as a home rule petition it required approval from the state Legislature. Home rule petitions aren’t easy to pass. But this one came with a special history. The Jim Brooks Act was the last, meager gasp of a three-year-long effort, and equally vigorous pushback, to enact changes in Boston’s rental laws to cope with what advocates call an “eviction crisis” in the city. “Who do you stand with?” Owens wants to ask elected officials. She is executive director with City Life/Vida Urbana, an affordable housing advocacy group. For her, the procedural snuffing out of the Jim Brooks Act wasn’t just one of those processy rally-the-stakeholders-tweak-the-bill’s-language-and-file-it-again kind of moments. Lawmaking is never that simple, of course, let alone lawmaking surrounding an issue as urgent and contentious as housing. But much of it comes down to a basic question: In a rapidly transforming city, what role should government play in balancing the interests of tenants and landlords? Should government play any role at all? Boston had some bold, controversial proposals to answer those questions. We’ve been following the proposals for the past three years. This is the story of the quiet death of those big ideas. Boston is booming. The numbers describe it all, and numbers are central characters in this story. Median home prices in the city are up 55 percent since 2005, according to the Greater Boston Housing Report Card from Northeastern University. 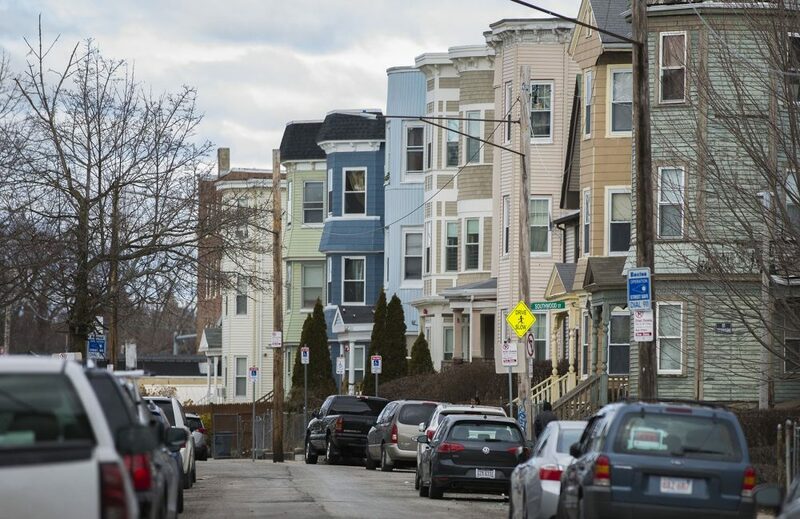 Prices in South Boston and Jamaica Plain have risen to altitude sickness-inducing levels, up more than 80 percent. In the meantime, there’s amplified upward pressure on the city’s existing housing stock. In some neighborhoods, such as East Boston, developers buy older units. They make for easy flips. The flips fetch considerably higher rents. It’s the old story of gentrification, writ anew for Boston in 2018. One take is that this is exactly how American urban centers are being revitalized, that gentrification’s churn is an unalloyed good, the unavoidable outcome of an enviably strong economy. Step beyond that whitepaper view, however, and you find the troublesome truth of lived experience. Affordable housing advocates say that Boston is in the throes of an “eviction crisis." In some neighborhoods, advocates and even some city officials claim a growing number of whole “building clearouts," where developers summarily evict longtime tenants in favor of much higher-paying newcomers. The shove from the market’s invisible hand gets a bit sharper with the use of Massachusetts’ no fault eviction statute. “We get over 100 calls per week from tenants who are in some kind of distress,” says Boston housing chief Dillon. By 2015, a coalition of tenants’ rights advocates and some policymakers felt the eviction problem had reached a critical mass. But they didn’t have the concrete numbers to prove it. And as mentioned, numbers are central characters in this story. The advocates called for a revolutionary set of reforms to Boston’s eviction laws that included restricting situations in which the state’s no fault eviction statute could be used, requiring nonbinding mediation for sudden big rent increases, offering legal representation to evicted tenants, and municipal data gathering. Together, the proposals represented the most sweeping changes to the city’s housing laws since 1994. Advocates called it "just cause" eviction reform. December 2015. We went to East Boston to meet Olga Pasco. She’d been renting the same Maverick Street apartment for 25 years. Earlier that year, her building had been sold to a developer who promptly raised her rent from $800 to $2,000 per month. She couldn’t pay and was evicted. Pasco had nowhere to go. When we met her, she was living in a church. "It's nice, but it's not home," Pasco said. Her bed was upstairs in the nave of Our Saviour’s Lutheran Church. A mattress, wedged behind the pews, about a dozen rows back from an altar dominated by a life-sized painting of Jesus. "[Pastor Don] opened the doors for us to live here because the landlords — who have all the money in the world — they threw us on the streets without compassion,” Pasco said. “They knew we were human beings, but nothing mattered to them. They put us in this situation. We didn't ask to leave our homes, especially in the way they threw us out." Housing advocates consider Eastie one of the hotspots in what they call the city’s “displacement crisis." On one block, Matt Nickell, attorney at Greater Boston Legal Services, pointed to five buildings that had been recently snapped up and flipped by developers. Rent increases anywhere from 30 to 200 percent were common. “Tenants are, more and more, seeing this as a threat to their very livelihood, their housing, their life,” Nickell said. “Rents are rising so rapidly that no mortals can pay them." A few months earlier, September 2015, the first draft of a major rental reform proposal had quietly begun circulating City Hall. Call it “Rental Rework 1.0.” The proposed ordinance contained everything tenant advocates hoped for, including tracking evictions, and a “just cause” clause that stated tenants could only be evicted for a handful of specific reasons. But their biggest of big ideas took aim at rental prices themselves. Advocates wanted Boston to require nonbinding mediation between landlords and tenants for any rental increases over 5 percent. The idea ran into immediate problems. “The dark ages of rent control,” is how Greg Vasil put it. The CEO of the Greater Boston Real Estate Board told us the ordinance would be “an absolute nightmare” and would chill the Boston market to a point where the city wouldn’t be able to produce anywhere near the number of new units the Walsh administration was calling for. It also stopped Rental Rework 1.0. The specter of rent control was just too politically frightening. No city councilor would formally sponsor the ordinance. By mid-December, the idea was shelved. March 2016, Boston City Hall. A long list of public commenters, two overflow rooms to hold hundreds of residents and landlords, and an emotional, raucous, hours-long meeting. For the first time, the City Council agreed to hear testimony on a new rental proposal. Call this one “Rental Rework 2.0." It had been three months since “Rework 1.0” had failed. Version 2.0 trimmed out the politically toxic mediation clause, and instead opted to redouble efforts on an even more basic problem. Advocates were saying there’s an eviction crisis, but no one knew how large that crisis is. City housing chief Dillon testified at the hearing. Walsh is a champion of data, she said. This is, after all, the administration that launched a series of data-visualization dashboards, mounted on a wall facing the mayor’s desk, that allows him to track how the city is doing on meeting key municipal objectives. But when it comes to evictions, there’s a data black hole. There is, in fact, some data readily available. Landlord groups say housing court cases provide a fair snapshot of eviction numbers, and the records are already public. City officials did tell us that they use student and nonprofit volunteers to comb through some 5,000 annual city housing court records to track eviction cases. However, the tedious, time consuming process yields data that’s often a year or two old. Dillon wanted numbers in close to real time. The new ordinance would fix that by requiring landlords to inform the city whenever they served a 30-day notice to quit. At least one owner advocacy group, MassLandlords, pointed out that the data would also be made available to tenant rights groups. That kind of tracking alarmed developers and property owners. Greg Winn, CEO of Winn Companies, issued a more dire warning. He told the council that even his big Boston-based company, with about $5 billion worth of real estate in 11 states, would be harmed by the reporting requirement. Like its predecessor, “Rental Rework 2.0” failed to gain traction in the City Council. The proposal never advanced. January 2017. One bill becomes five. Walsh was not an early adopter of rental reform. (Following WBUR’s coverage of the issue in 2015, Walsh limited his opinion to a tepid, “We could do something.”) But by 2017, the administration proposed a package of five housing bills to support tenants and landlords. Four months earlier, Walsh had created the Office of Housing Stability, a group tasked with assisting “Boston residents in housing crisis," according to the mayor’s office. Walsh picked Lydia Edwards to lead the office. An East Boston resident, Edwards was both a landlord and tenant who’d also represented both groups in Boston housing court. “Even the courts are overwhelmed by the amount of development,” Edwards said. Walsh’s bill package aimed to please both tenant and landlord groups. The mayor proposed three statewide laws: a $1,500 income tax credit for landlords who keep their units rented at below market rates; he proposed giving tenants in foreclosure properties the first “right of refusal” to stay in their units; and he moved to offer evicted tenants legal representation via the Massachusetts Committee for Public Counsel Services. Dillon claimed paying for housing attorneys could ultimately save money. Not all evicted families end up in homeless shelters. When asked how much the legal assistance would cost the city and how it would pay, Dillon couldn’t say. The package also included two home rule petitions specific to Boston. One to add inclusionary zoning policies formally into the city’s zoning laws that would ensure the construction of affordable units even as areas of the city are rezoned. Named after a longtime Boston social justice advocate who died in 2016, this version of the ordinance would continue to require landlords to inform the city’s housing office whenever they served an eviction notice. But it had quietly dropped the provision that would have allowed tenant advocacy groups access that eviction data. Parritz says there was a bigger problem. The act still had a list of specific reasons under which landlords could begin eviction proceedings. The so called “good causes” ranged from failure to pay rent, to the tenant using the unit for illegal purposes. That didn’t stop the Walsh administration from trying to showcase the collaborative craft of its policy making efforts. Vasil, of the Greater Boston Real Estate Board, and housing stability chief Edwards, insisted to Radio Boston that dialogue was the word of the day, soon after announcing the proposal. “Together we’re going to come up with a wonderful set of ideas,” Edwards added. It was a thin veneer. In that same conversation, Vasil strongly objected to the “good cause” provisions, saying it would make it impossible for owners to evict tenants who allow drugs, prostitution or gang activity on the property. “Because you have to prove that the leaseholders themselves are causing the activity,” Vasil said. March 6, 2017. Boston City Council Committee on Government Operations. Three months after its introduction, the Jim Brooks Act gets its first public hearing. The hearing goes on for more than six hours. Hundreds of residents, advocates, property owners and developers attended. It’s a cross section of modern Boston, but the sections don’t cut along customary lines. There were immigrant tenants and immigrant landlords. Professionals who spoke for real estate corporations, and professionals who spoke for evicted patients who end up in their hospitals. The one thing that unites them? Everyone cares about this issue. A lot. But would the act actually do that? Would it protect tenants? Councilor Andrea Campbell took a more sympathetic tone. She asked housing chief Dillon whether gathering eviction data would lead to an actual decline in evictions. “How is this in concrete, tangible ways helping folks?” Campbell asked. Councilor Salvatore LaMattina was less sympathetic. “The landlord could say, ‘I want you to now pay $3,000,’ and you can make the decision whether you can pay that or not,” Dillon responded. The measure had been gutted. Every “good cause” eviction provision was stripped out, reducing the act to little more than an eviction data collection tool with an enforcement measure tacked on to help ensure landlords reported evictions to the city. There were no more public hearings. On October 4, 2017, the act passed the City Council by a 10-3 vote. But even some of the yeas weren’t happy about it. The Jim Brooks Act moved to the state Legislature in January 2018. It’s worth recapping how much the reform measure had been whittled down from its original 2015 ambitions. Nonbinding mediation for large rent hikes? Gone. Informing tenants’ rights groups about evictions? Gone. Every “good cause” rule restricting reasons why landlords could issue notices to quit? Gone. All that remained was a home rule petition that would require landlords to notify the city of evictions, and allow the city to notify tenants of their rights. It seemed like an innocuous, if emaciated, policy proposal that could win passage in the Legislature. Instead, on May 2, 2018, three years after the ideas behind the act were first introduced, the bill was killed -- "put to study,” never to emerge from the Judiciary Committee. Officially, legislators spiked the bill for the most procedurally mundane reasons. The bill’s preamble required that legislators adopt the measure “precisely as follows, except for clerical or editorial changes of form only.” State lawmakers balked at not being allowed to add amendments. We can almost hear Dillon shaking her head on the other side of the phone. “Of course we’re disappointed,” she tells us after the bill’s demise. Perhaps more important, the bill included broad language that would have changed how evictions are defined. For example, if a landlord decided not to renew a normally expired lease, that would have constituted an eviction. Developers and property owners called that a violation of basic contract law. A 'Modern Day Fair Housing Fight'? Three years and basically nothing. Advocates couldn’t get a single one of Walsh’s housing proposals passed on Beacon Hill. One still languishes in the City Council. They have a tough fight ahead of them. It’s also debatable whether a “just cause” eviction statute would do anything to solve underlying market pressures. Look to San Francisco, where multiple “just cause” ordinances are on the books, and you see a city still in the grip of intense housing pain. If the past three years have shown Boston anything, it’s that, ultimately, building more and better affordable housing will solve the problem. Regional housing plans will solve the problem. Putting aside protectionist localism and NIMBYism will solve the problem. Funding major transportation expansion projects will solve the problem. Should be doable, right? After all Boston filled in the Back Bay, reclaimed some of the harbor, created land to transform the city into the Hub of the Universe. That self-satisfied historical perspective popped up during public comment at City Hall during one housing hearing. For those of us who’ve been following the story for a while, this is its most perplexing aspect. 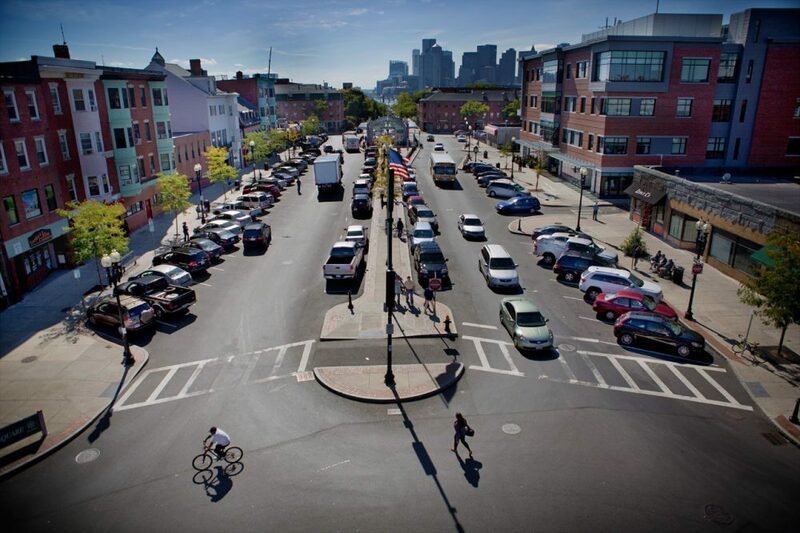 Everyone agrees that Greater Boston needs to think big about the housing challenge. This is also the 21st century, where data is king. But even as Boston glitters with growth and possibility, the jewel of the state’s information and ideas economy, when it comes to rental units, Boston lacks the granular data to describe the basic scope and scale of that challenge. But the city’s attempts to collect that data failed. Pasco’s story has not been reduced to a number. It’s become something even less than that. This segment aired on May 16, 2018. Evictions In East Boston: How Can Boston's Housing Be More Affordable?